1. 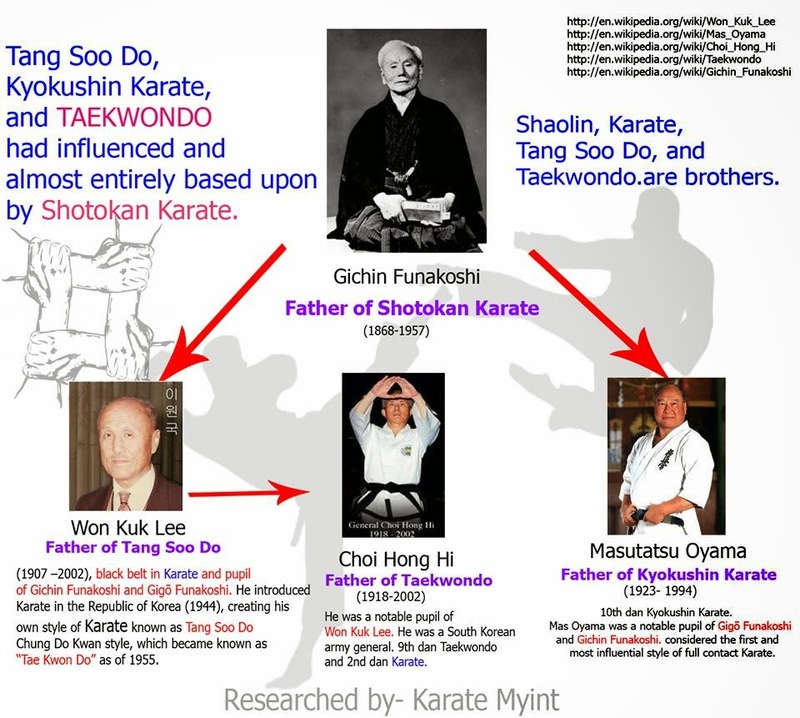 Systematic demonstration of the true Kata meaning. 2. Understanding of the techniques being used (applied BUNKAI for Kumite). 3. Correct timing, rhythm, speed, power and balance. 4. Correct focus of power (KIME). Kime is the focus of your technique, the placing of all your power and concentration into a single point of space-time and completing your technique with focus and power. 5. Correct focus of attention (Chakugan) and concentration. Chakugan is the correct focus of your attention, looking at your opponent (different styles teach different places on your opponent's body to watch, i.e. chest, third eye, etc. ), or where your opponent should be if you are practicing individual kata, to be able to see all of his movements. 6. Correct stances (Dachi) with proper tension in the legs, and feet flat on the floor. 7. Correct body shifting (Tai-Sabaki). 8. Proper tension in the abdomen (HARA) and no bobbing (no bounce their head up and down ) up and down of the hips when moving. 9. Correct patterns of movements (KIHON) of the style being demonstrated. 10. The performance should also be evaluated with a view to discerning other points such as the difficulty of the Kata presented. Synchronization is very important in team KATA, not considered to be an external cue. Synchronization is very important concept in the kata. Synchronization is the coordination of events to operate a system in unison (simultaneous performance). An external cue is a cue that comes from a body movement. You also need to understand such as linear velocity, centripetal acceleration, centripetal force, centrifugal force, kinetic energy, angular speed, centre of gravity, stability control, direction of movement, motion, Ki (気), Kiai (気合) etc. Ki is the essential energy; mood; heart; mind; spirit; feelings. Kiai is a Japanese term used in martial arts for the short yell or shout uttered when performing an attacking move. Zanshin 残心 (literally- Remaining Mind) is a state of complete readiness and awareness, of being "in the zone" and aware of your opponents and your surroundings. It refers to a state of awareness – of relaxed alertness. Chakugan is the correct focus of your attention, fixing of the eyes, looking at your opponent (different styles teach different places on your opponent's body to watch, i.e. chest, third eye, etc. 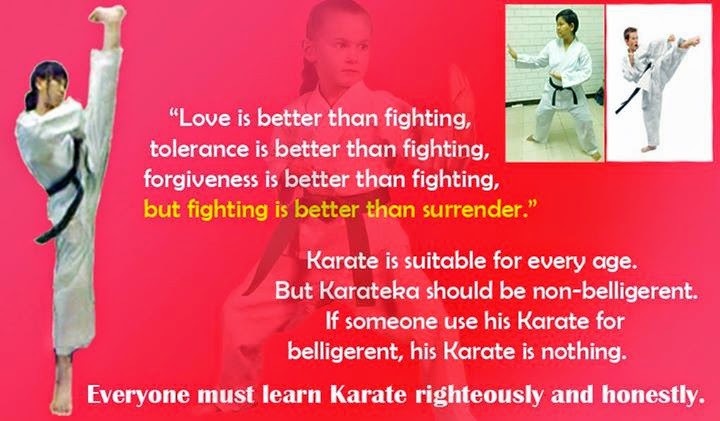 ), or where your opponent should be if you are practicing individual kata, to be able to see all of his movements. Kime is the focus of your technique, the placing of all your power and concentration into a single point of space-time and completing your technique with focus and power. Kime means focus. Ki is the essential energy of your body. Ki means energy of mind. Kiai is a physical manifestation of the harmonizing of your essential energy by a shout. At the point of kime, you may use this shout as a method of focusing your ki.